I saw some beautiful and reasonably priced lampwork beads on ebay and bought some. 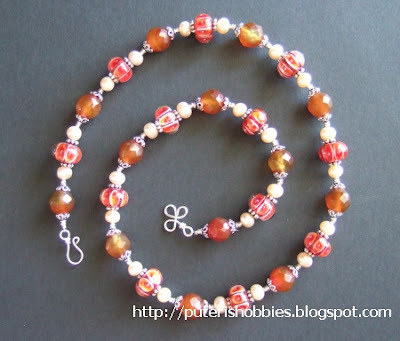 Here's a chest length necklace made with carnelian, pearls, lampwork beads and sterling silver findings. 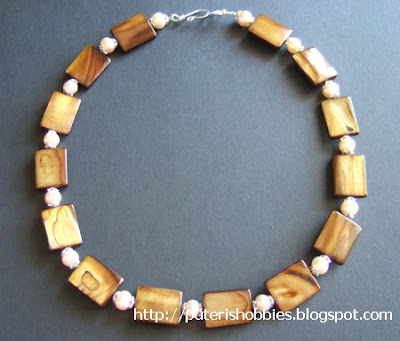 Rectangle mother of pearl coupled with fresh water pearls with sterling silver caps and clasps.